The swim leg of the Ironman is often the most daunting of the three disciplines. Swimming is an extremely technical sport and can take years to get to a sufficient enough level where you actually look forward to the swim start. 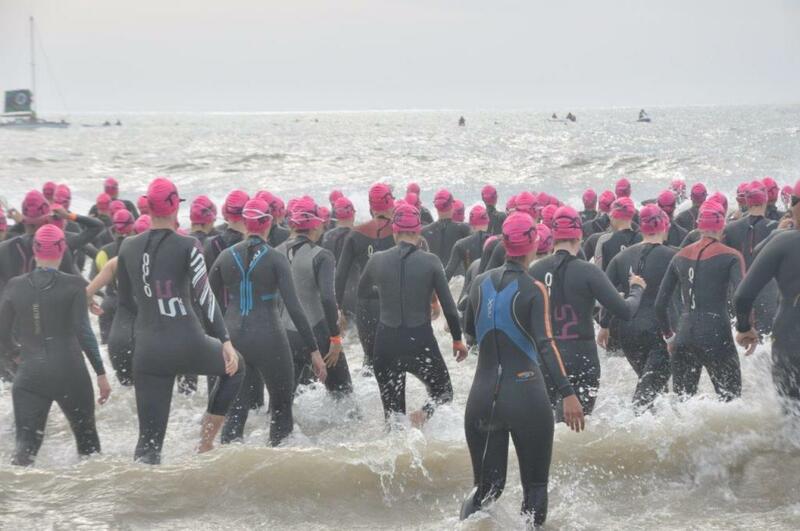 But the swim is also the shortest of the disciplines and most experienced Ironmen and women look at it as a “warm up” for the long day ahead, however, you want to be well prepared, and we’ll give you a few tips here to help you with that preparation. • Find a swim coach- or booking a few private lessons, as your coach will be able to correct any technique problems and help make you more efficient in the water. Swimming technique is not something that can be self-taught, as you cannot correct yourself if you don’t know, or can’t see what you are doing wrong. Learning to relax is vital to ensuring a smooth and efficient swim. If you tense up, your stroke will shorten and you end up rushing through the stroke, causing you to fight the water, gasping for air and wasting a whole lot of energy that could be better spent on the bike or run. • Join a squad - swimming is a lonely sport, but having company between sets will make it easier and more enjoyable. Squad swimming also improves your speed. If you are unable to join a swim squad, include variety in your swim sessions. Use a pull buoy, paddles and fins. Do drills, kicking, swim at different intensities, do shorter sprints and longer endurance sets. You will never get faster if you just get in and swim 80 lengths at the same slow, continuous speed every day. • Swim Open Water – it is totally different to pool swimming and therefore you need to train in the open water in order to be competent at it. You can’t rely on the person in front of you to be headed in the right direction - you need to check for yourself every so often. I suggest that on every 8th to 10th stroke you look to the front to make sure you are swimming on course. The easiest way to do this, is whilst swimming your normal freestyle, when you turn your head to the side to breathe, simply look up and forward before putting your head back down into the water. You can also practice this in the pool, by putting an object (water-bottle) at the end of your lane, and maybe 2 - 3 times per length, looking forward and focusing on the bottle. Lifting your head to sight will push your legs down, so be aware of keeping your kick strong and your stroke long. • A wetsuit is not a necessity but it does help, a lot. Practise swimming in your wetsuit as often as possible before race day as it can feel quite restrictive at first, and will even alter you stroke slightly (that’s why we don’t worry too much about high elbows and perfect swimming styles). • Learn to swim in the slipstream of the swimmer in front of you. Let them break the rough water for you, making your path smooth, easier and faster. Stay right on their feet and let them pull you along. But try not to touch their feet on each stroke – or you may get a foot in your face. These tips should help with your preparation for the open water swim. If you put in the work and the right kind of sessions, you’ll approach the swim with confidence and enthusiasm.